Avast have introduced an artificial intelligence based system to block the phishing sites. Avast is getting better in every release and in 2019 they have introduced a more strong avast. Avast comes with Free and paid options. Paid version have the option as Antivirus Pro, Internet Security and Avast Premier. Click here to Compare and download the right Avast for you. After Download installing the right product is simple and easy. Just follow the onscreen simple installation instructions. If you need to upgrade your Avast to the higher or newer version then you need to Uninstall the old product and install the new one. Use the Activation key to activate the product and you will be protected in few minutes. If you have some issue doing installation or up-gradation then simply use the Avast Official Uninstaller tool to remove the product installation completely from your device. And still you have issues then Contact the Tech Support department to solve your query . Avast have introduced the AI based phishing protection system. Which detects and block the phishing with in seconds. Extra layer of ransomware protection. Avast have four edition. Free, Pro, Internet Security & Premium. Its free version is also very popular. The Avast Free version comes with an excellent antivirus engine, which offers good basic virus protection. 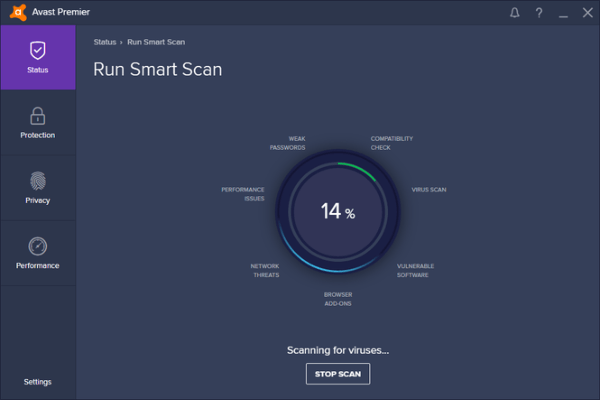 This antivirus engine was put to the test by some of the most reputable labs. Results were all favorable, with Avast placing at, or near the top in most categories when compared to its competitors. While the Avast Antivirus engine and one or two of the additional features is free, most of the added features, require to buy the premium version. Below are some of the features in Avast Premier version. All features are not available in all products. So check carefully what features actually you need before buying. Premier version includes all of these features. Avast 2019 comes with an Automatic Updater that automatically updates other applications installed on your computer. Why? Because the older an application version, the more time hackers have had to crack it. Keeping applications up-to-date is an important part of your defense against security breaches. In case you still think deleting a file to trash gets rid of it, think again! Confidential and sensitive files need to be deleted and overwritten if you don’t want them to be seen by prying eyes. Data Shredder will do just that, making sensitive data inaccessible once deleted. This will protect your private data, once shredded, from even forensic hackers. Avast comes with its own firewall. Avast’s firewall has a slew of tools designed to help you defend your network from intruders. This is most important in today’s environment. Avast comes with an extra layer of ransomware protection to block ransomware attacks. You can use the password vault of avast the securely save all passwords and login with a single password. This feature is designed to secure your online banking, financial transactions and shopping. This is extremely helpful nowadays with the tremendous growth of online business of all kinds. This is exasperated by the trend towards paperless banking. Malware alters the way an application behaves. This is usually done in ways imperceptible to us. Avast will, however, using Behavior Shield, spot the imperceptible changes in an application and evict the malware before any damage is done. This is very helpful in a world where malware is becoming more prevalent and even more destructive than viruses. Passive Mode allows a user to “turn off” Avast in cases where another antivirus program is installed and active. Avast Antivirus and all of its features remain available at any time upon requests a great feature as it prevents possible conflicts which often arise when more than one antivirus application is active on a single computer. These conflicts, if allowed, lead to very severe degradation in the computer’s performance. Ever been engrossed in your video game only to lose your life because a Windows or other modifications pops up? Feel like punching your monitor or worse? Well, relax! Help i.e. With Avast’s new Game Mode, all such notifications will be turned off, allowing you to place all of your concentration and your computer’s processing power at your game’s disposal. As the name suggests, this is a feature that allows you to delete browser history in a bid to delete cookies and other sort of content associated with websites visited. There are some programs that have capacity to slow down performance of your computer. Avast can optimize your PC by scanning all installed programs and computer registry to identify areas such programs. It will automatically tweak your system registry to free up more data store space in the hard disk. This is an additional feature which is designed to create an isolated safe virtual environment that you can use to open files downloaded from internet if you suspect they contain virus. Save money on your purchase of Avast security product using the coupon codes and promos launched by company time to time. Visit to check out the latest Avast Offers.